Have you ever been addicted to something , or worried that you were? I have a problem. I’m an addict. I need a 12 step program I think. But I don’t know if they have them for my sort of trouble. See, I’m a bibliophile. A book addict. I love them. The smell of them. The feel of them. The paper. The weight of the thick spines in my hands. I don’t remember a time when I wasn’t able to read, my parents say , I was 3 or 4 years old, when I learned how to read and written material has always been like a comfort to me . Magazines, newspapers, and of course books. Paperback, fiction, non, science, history, fantasy, old, new, the thicker the better. Piles and piles of them. I read everywhere I go, heck, sit me at the breakfast table, and I HAVE to read the cereal box. Road signs, manuals, travel and real estate booklets. Words give me something I’ve never been able to find in any other medium. When I’ve been ill, my stack of books at the end of my bed or sofa has provided me with an escape from the horrible places lupus has taken me. My husband tells people when they come to visit, “Just move my wife’s library over and find you a place to sit.” So what do you think? Have I gone too far down the path of no return? Will my addiction to the written word lead to my down fall ? 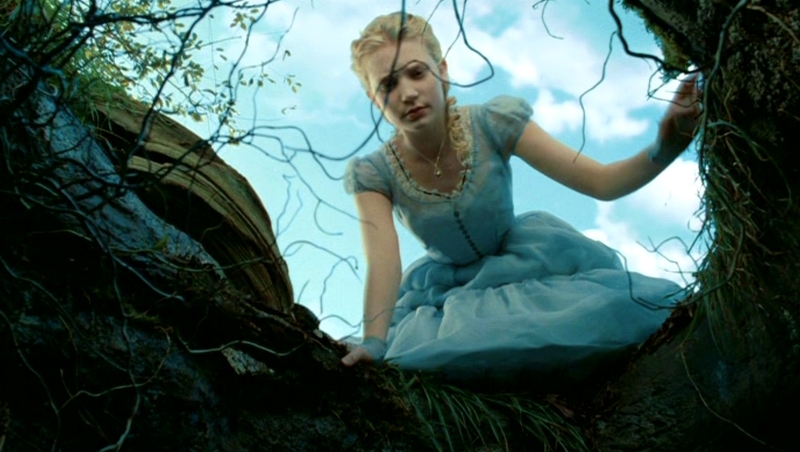 I can only say that if it does, it is down Lewis Carroll’s rabbit hole, and I shall meet Alice and her friends there.